Who does this course suit? Executives and Managers from all ends of the Sales Spectrum (Managers / Sales Executives / Directors / Managing Directors / Business Development People etc). What size of Companies will benefit from participating on this Course? Any Company or Organisation interested in increasing their Sales Pipelines…. from small SME’s (employee numbers 1 to 100) to Business Development Teams in Larger Organisations & Companies (employee numbers 100 to 10,000). What will you learn / what are the out-comes? As we have modules designed and built for all skill levels you will learn at a basic level how to get up and ready on LinkedIn and all the way through to an Advanced Level on how to really properly make LinkedIn work for you in initially qualify relevant sales prospects and then working and increasing your sales pipeline. By communicating and carrying out a pre-workshop consultation with you (usually by phone) we can identify with you what level of the Programme Workshop is best suited for you! One on One with us either providing the training to you in your office. One on One with us providing the training in our office in Blackrock, Co. Dublin. One on One in a third party convenient locations within dedicated Training Facilities in Dublin city centre or in Tallaght / Finglas close to the M50. The Evolution Digital LinkedIn Skyship Programme we have specifically developed over 15 years, is designed specifically to ensure that all participants fully understand in a one on one practical way on all of the features of LinkedIn and are shown how to implement these for themselves. Heard loads about Sales Navigator? Want to learn how to use your Sales Navigator license to its full capability? 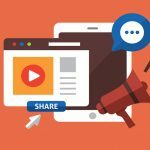 2018 – The year of video for sales! What does video mean to you and your sales cycle? Video across LinkedIn is straighforward once you know how!! Want sales prospects and relevant business contacts to attend? Want to book successful meetings? LinkedIn Users who have a good LinkedIn profile and understanding of LinkedIn + Twitter. 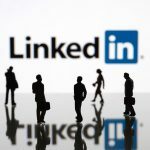 This would also suit participants and successful graduates of the other LinkedIn Workshops.